SmartFactoryKL strives to strengthen the exchange among its members. 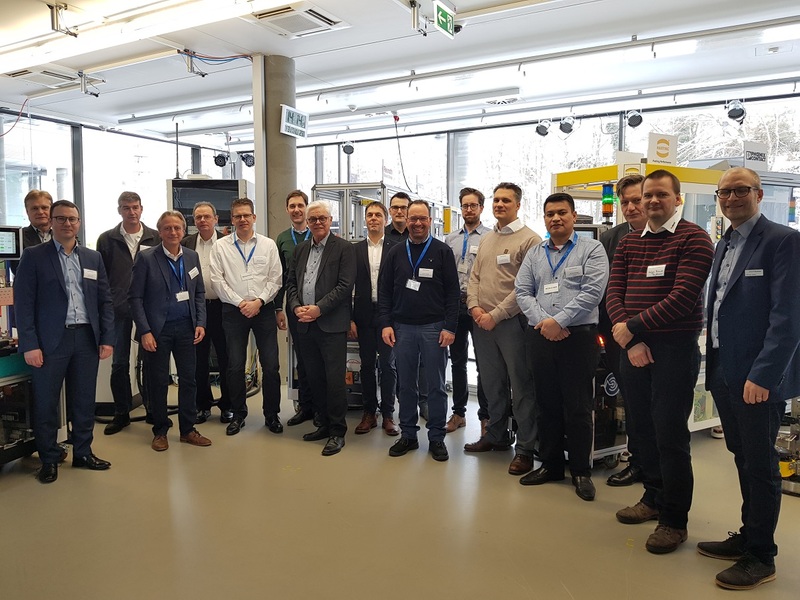 At the first user forum, 16 participants from 13 members companies shared their experience with Industrie 4.0.Johannes Wagner, expert in the unit Technical Services – Engineering at SCHOTT in Mainz, presented the challenges faced by his company in Industrie 4.0 projects. Tobias Thielen, Manager Industrial Transfer at SmartFactoryKL, talked about a project of the SME 4.0 Competence Center (Mittelstand 4.0-Kompetenzzentrum) with the medium-sized company POLY-TOOLS bennewart GmbH from Pirmasens „Successful implementation of Industrie 4.0″. The participants of the forum agreed that such a format is a great opportunity to get to know other members and to network. „We will carry out a user forum two to three times per year and set a topic such as AI, retrofitting or TSN/5G for each meeting. Several members already offered to host the event, including a tour of their company”, said Stephan Hamm, Head of Industrial Transfer at SmartFactoryKL. All members of the SmartFactoryKL association are invited to take part in the events. Further informationen is available form Tobias Thielen at tobias.thielen@smartfactory.de.